H.14151 - Come see this dream home "Danby" model! 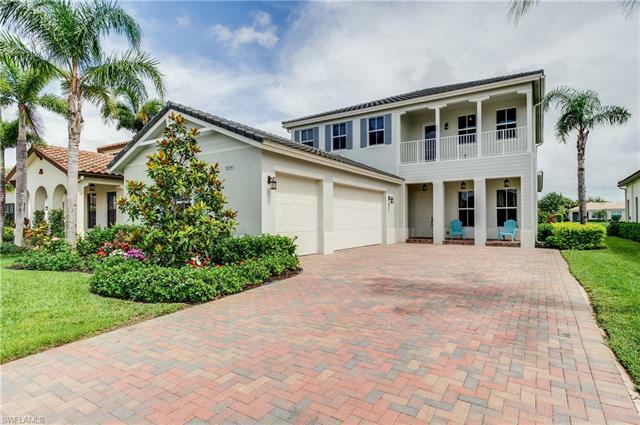 Spacious and immaculate, with a tranquil water view, large 3 car garage, key-less entry, tiled 2nd floor front balcony, entire second floor equipped with impact glass. A large eat-in kitchen with upgraded granite and cabinets. A frame-less glass upgrade in second floor master bathroom, upgrades in baths, washer and dryer including laundry room sink. Neutral matching colors throughout with multiple areas of living space. Window treatments throughout. Screened lanai with large yard, room for pool and so much more. Community offers multiple parks, dog park, sports fields, playground, run/bike paths, tennis, restaurants, bars, grocery store, gas station, car wash, and so much more, with an amazing amenities center coming soon. Make appointment now!